Anyone who has ever been sick—which I suppose includes everyone in the world—would have had firsthand experience of the callous ways of healthcare establishments. For the poor, healthcare is not available at most times. The rich pay through their nose and yet do not find succor. In 2003 public health experts decided to find an alternative path to better healthcare. And something tangible came out—a series of books that delve deep into the problems. The third volume of Global Health Watch was released in October at a meeting in Rio de Janiero where experts met to discuss social determinants of health. The report offers solutions with evidence. But the solutions could be derailed as many of the suggested changes do not pertain directly to the health sector—they involve the environmental, social and financial sectors. For example, the report argues for taxes to finance healthcare. 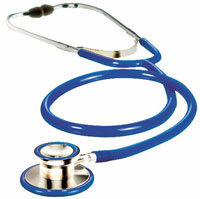 The suggestion is supported by an analysis of effective healthcare systems in Sri Lanka and Thailand. At the same time, it shows how privatisation has failed to provide healthcare in the US and India. The report also analyses how the community-based insurance system in Ghana fails to assist 80 per cent of its needy population just because the country has no public healthcare system in place. No doubt healthcare system is beset with inequity. Mostly, women bear the brunt. High maternal mortality is an obvious result of this failure, it says. While most examples in the book have been talked about often, the compilation highlights the sheer magnitude of the problem. But the world of health is complicated and no solution can be the ultimate. The editors hope the book could be an agent of change.